Developed in the 20th century by a Hungarian-Israeli martial artist named Imi Lichtenfeld, Krav Maga—which is Hebrew for “contact combat”—utilizes techniques derived from boxing, kickboxing, wrestling, jiu-jitsu, and other practices to provide a unique, effective training regimen. The Israel Defense Forces prepare soldiers by teaching them Krav Maga. Navy SEALs learn it, too, as do FBI agents, SWAT teams, and Hollywood stuntmen. If you want to train like some of the most elite athletes in the world and turn your body into a fighting machine, there’s no path better than Krav Maga. It’s used by military units and police forces around the world to cause as much damage as quickly as possible; fighting with the assumption that your opponent intends to kill you. Krav Maga training is not intended for sport, Krav Maga is for life and death. It’s best for full contact Krav Maga training to be conducted under the supervision of an experienced instructor. While it is best known for its military and law enforcement use, Krav Maga has become widely popular among civilians. That’s because it prepares fighters for real-life situations. It focuses on practical techniques that people of all ages, sizes, and backgrounds can utilize to make themselves (and those around them) safer. Krav Maga training is intense. There is a focus on aggression and pushing conditioning by training striking techniques and applying them in specific self-defense situations like headlocks, chokes, or even facing armed attackers. It will get you in the best shape of your life. 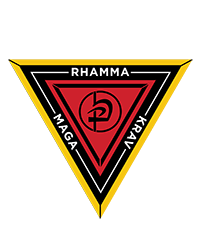 Krav Maga Worldwide training is physically challenging and intense but Krav Maga Worldwide training centers, like RHAMMA, provide a friendly place to train and a great community of people to train with. If you’re interested in the challenge of full-contact training, Krav Maga is an excellent way to work out. Eventually, those who practice Krav Maga will be ready to start sparring with opponents who hit back. The decision to start full contact Krav Maga is one that should not be taken lightly. Those who begin full contact self-defense training too early and haven’t mastered the techniques they need can often get injured. Moreover, starting prematurely can overwhelm new fighters and, inevitably, damage their confidence. At the same time, those who get started too late can end up in trouble, too. If you go too long without sparring, you could struggle to shake bad habits. Martial arts are all about building muscle memory, and if you let your body develop poor form early on, it can be hard to rewire your brain. Think of it this way: If you’re learning baseball, you don’t want to spend months and months hitting against a machine that fires a ball straight and at the same velocity. You need to build your mechanics and hone your timing while facing opponents who change speeds and throw a variety of pitches your way. No two athletes develop at the same pace, so it’s important to work with your instructor to decide when the time is right for full contact Krav Maga. Once you get that green light, read on to learn what you’ll need. Safety is the top priority during full contact Krav Maga training. To ensure everyone is able to practice without receiving or inflicting serious harm, every fighter needs to protect himself or herself. Even if you’ve immersed yourself in Krav Maga for decades, it is never a good idea to spar without the right equipment. It’s simply not worth the risk. In full contact Krav Maga, it’s vital to wear a mouthpiece and protective headgear. The mouthpiece can save you a world of pain and thousands of dollars of dental work. And given what we know about head injuries now, all reasonable measures should be taken to avoid concussions. You should also purchase gloves and shin guards, as well as adequate groin protection. If you are a man, you must always wear a cup, as groin shots are far more common in Krav Maga than they are in most other martial arts. Many of those who are just starting out believe they won’t get into full contact self-defense until they reach an advanced level. Truth is, people with a wide range of abilities should practice full contact Krav Maga. Doing so promotes positive growth and development. This doesn’t mean fighters who have been training for several months should jump into a class and spar at full speed. Those who are just starting out begin slowly and move forward as their instructors see fit. As such, it’s important to be patient. 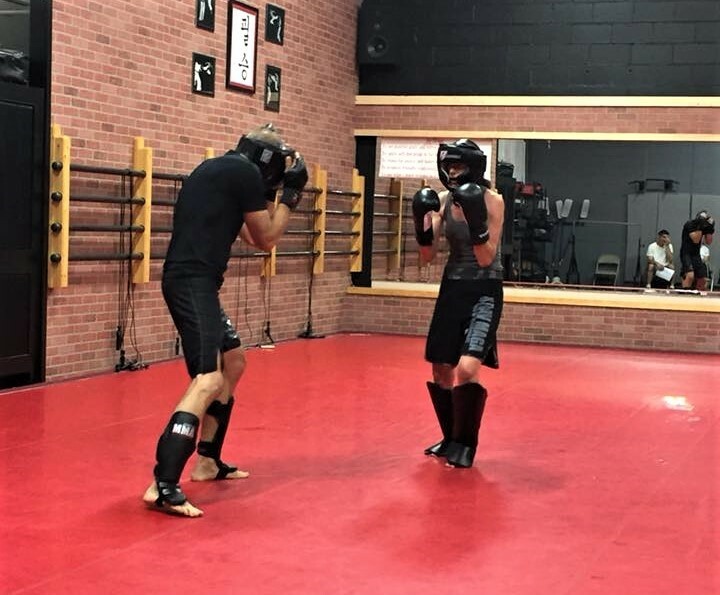 If you’re eager to become an advanced fighter, you might get frustrated by the initial pace of sparring, but a steady progression will ultimately be what’s best for you. One of the best ways to improve is to train with partners who have more experience. Doing so pushes you to perform at your best and gives you a solid understanding of what it takes to reach the next level. While it may feel irrational to spar against fighters with a lot more experience than you, doing so has a number of benefits. Practicing full contact Krav Maga against seasoned partners is safer, as they’re better at controlling their bodies and less likely to injure you unintentionally. You shouldn’t expect to beat fighters who are further along than you, but that’s all right. Sparring isn’t about winning, It’s about self-improvement. Regardless of what challenges are in front of you, and no matter who you are going up against, your biggest opponents can often be inside your mind. Indeed, fear and anxiety can affect your emotional state and even manifest themselves physically. A significant part of Krav Maga focuses on your mentality; learning how to control your fear and anxiety is an important prerequisite to full contact self-defense training. The best fighters are loose when they are in combat. Those who get anxious when the adrenaline starts pumping are at a disadvantage. If you are interested in training full contact Krav Maga, but uncertain about getting started, talk to your instructor. Krav Maga Worldwide instructors will help you make the decision that’s right for your skill level and abilities. Our Krav Maga Worldwide instructors have the expertise you need to practice full contact Krav Maga safely and effectively. Sign up for your first free intro class today!